1. I LOVED this article on raising a boy in today's society. 2. Pretty eyelet tops that have caught my eye: this one, this one, and this one. Eyelet is my favorite. 3. I am so happy to be nursing again. 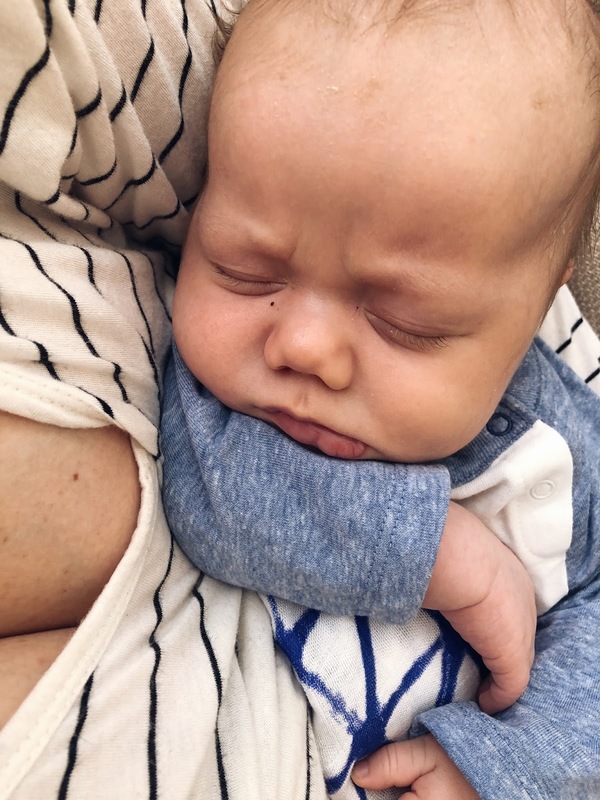 Breastfeeding is one of my favorite parts of motherhood- the way they look up at you with this little half smile, and the appreciate little noises they make? It's the sweetest. And there is nothing better than the smell of a breastfed baby. It's something I'm already nostalgic for while it's happening. I know that nursing is something I will miss when I'm old and grey. 4. For all the people who give me strange looks when I take my little ones outside in the cold- outdoor parenting in Sweden and what they can teach us. 5. My skin is totally wonky right now- postpartum hormones and midnight wake ups can do that, I'm sure. I hear rave reviews about this face mask. 6. This piece about being "cool" was refreshing. 7. In case you missed it- a review of my favorite baby carriers. 8. This instagram account has been so helpful during this endless winter. Ophelia has been blowing me away with how smart she's gotten! 9. In my dreams, I would have a reason to wear this dress, the budget for it, and the weather for it. So dang pretty! 10. Ophelia's favorite item of the week, and Ralph's favorite.